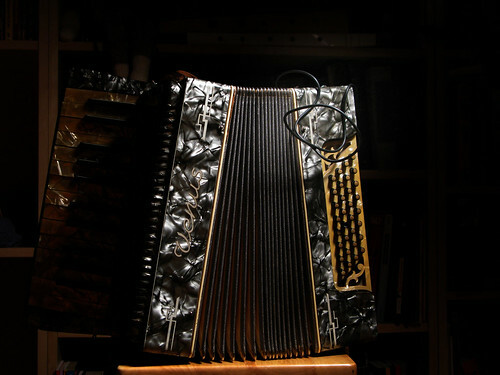 I stuck a microphone inside the bass end of my accordion, where the vent is, so I could amplify its breathing and creaking. I first played mute accordion with the glass bees. Speaking of whom, I'll be playing with them on March 3rd at Barbes! dude, love this one – sounds super wicked. think I can get my hands on a copy of your recording to mess around with?